Photo furnished by Ed Merck. 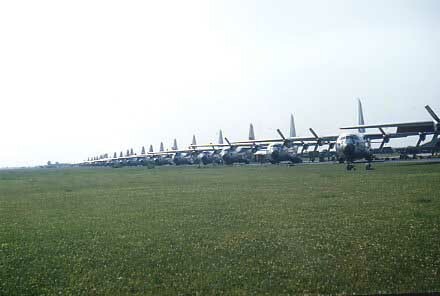 The C-130 fleet was lined up on alert before the aircraft were dispatched to Beirut, Lebanon in 1958 with airborne troops. Photo furnished by Ed Merck. 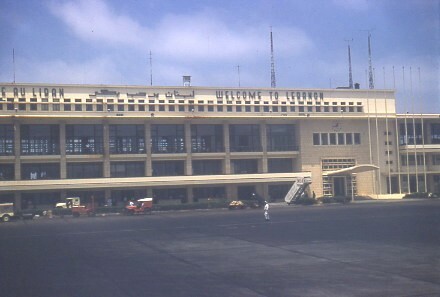 Beirut's Internation Airport was the site of considerable activity in 1958 when the 322d Air Division delivered the US Army's airborne troops to help provide stability for Lebanon's government. Photo furnished by Ed Merck. 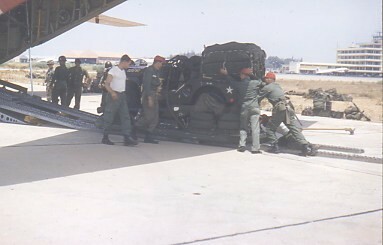 Ground crews manhandle part of a C130 load at Beirut's Internation Airport in this photo taken in 1958. Photo furnished by Ed Merck. 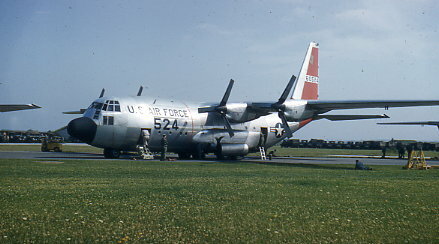 C-130 524 was one of the 322d Air Division's fleet involved in the airlift to Beirut, Lebanon in 1958. It is pictured here at Evreux before it departed on that mission. Photo furnished by Ed Merck. 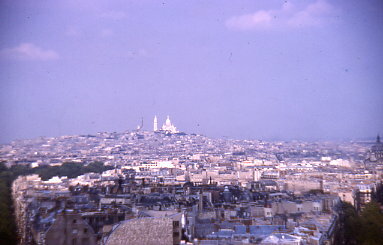 Viewing Paris across the rooftops, you can see Montemarte's Basilica of Sacre Ceour in the distance. Photo furnished by Ed Merck. At least once during a tour of duty, visits to Paris included attending the outstanding shows at the Lido. Photo furnished by Ed Merck. A favorite tourist destination in Paris is the famous tower along the Seine River. Photo furnished by Ed Merck. 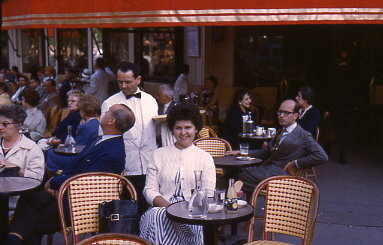 A familiar scene on Paris' Champs Elysees is the busy sidewalk cafe. Pictured here enjoying an aperitif is Jo Connell, a teacher at Evreux's dependent school. Missing from the picture is her future husband who is taking the photo. Photo furnished by Ed Merck. Versailles was the royal residence of France for a little more than a century--from 1682 until 1789, when the French Revolution began. It was meant to be the residence of Louis XIV, the Sun King. Photo furnished by John Solomanchik. 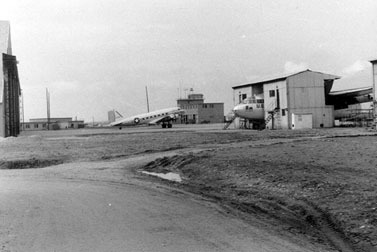 The Division Commander's C47 and a C119 in maintenance dock are shown with Base Operations in the background. Photo furnished by John Solomanchik. 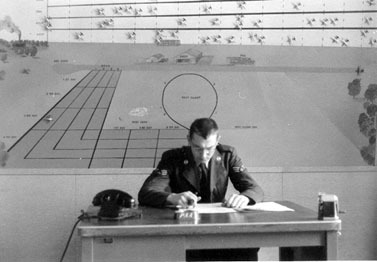 A1C Straub is pictured in front of a maintenance planning board with miniature C130 planes placed to indicate flying time. It was used to schedule maintenance activities. Photo furnished by Jim Cusack. 40th TCS navigators entertain members of the Officers Club at one of the regularly scheduled parties sponsored by base organizations. 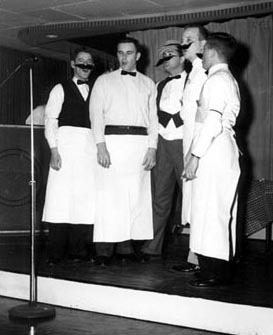 This singing group is composed of Ed Merck, Jim Cusack, Ted Vautrinot, Paul Sandman and Bob Trimble. Photo obtained from Madelyn Ulrich Sauveur. 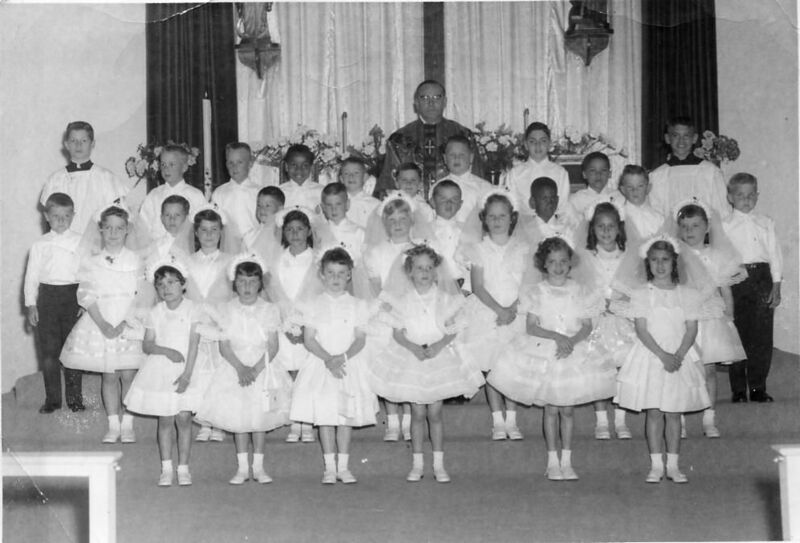 The group pictured here is the 1961 First Communion class at the Base Chapel. Madelyn Ulrich was one of this group. Can you identify any of these young people? Photo furnished by Greg Devejian. Troops from member countries of the United Nations were airlifted by C-130 aircraft of the 322d Air Division to Leopoldville and other locations in the Congo. One contingent is shown here with C-130 457. Also in this July 1960 photo, foreground, are MSgt Hodges and Lt. Devejian. Photo furnished by Greg Devejian. 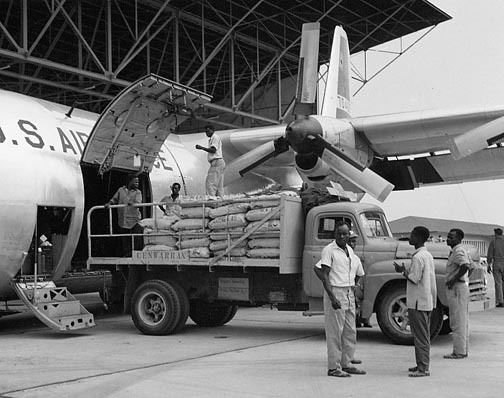 Congolese load a truck with flour delivered by C-130 70465 to Leopoldville, Congo, in the July 1960 Congo airlift. Photo furnished by Greg Devejian. 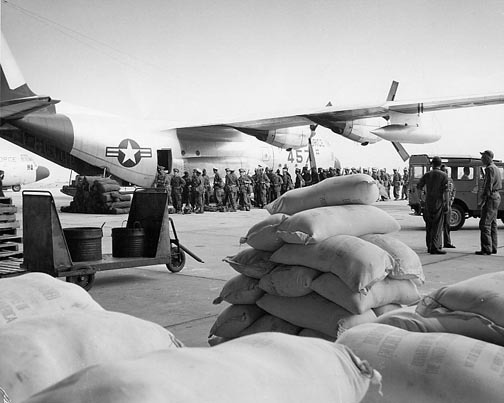 Food delivered to the Congo by the 322d Air Division was destined for the native population. 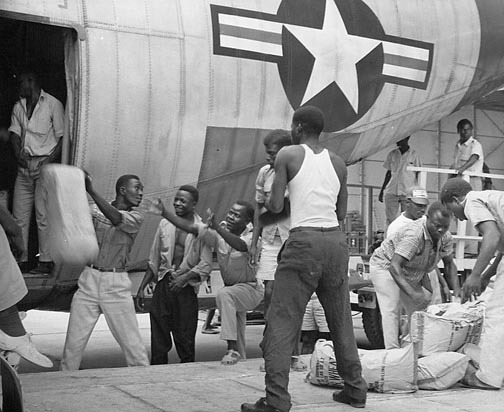 Shown here are Congolese unloading a cargo of wheat which was airlifted as part of the longest airlift in the history of the United States Air Force. Photo furnished by Greg Devejian. Capt. 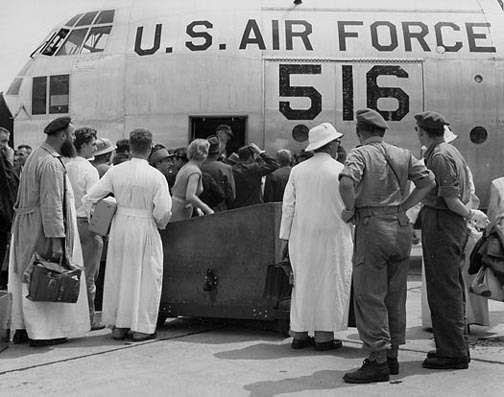 Evans, 5th APS, (in doorway) supervises the loading of refugees aboard a C-130 on an outbound flight from Leopoldville, Congo, in July 1960. Photo furnished by Ron Groom. The Vikings, an off-duty hangout for some of the troops, outside the back gate. 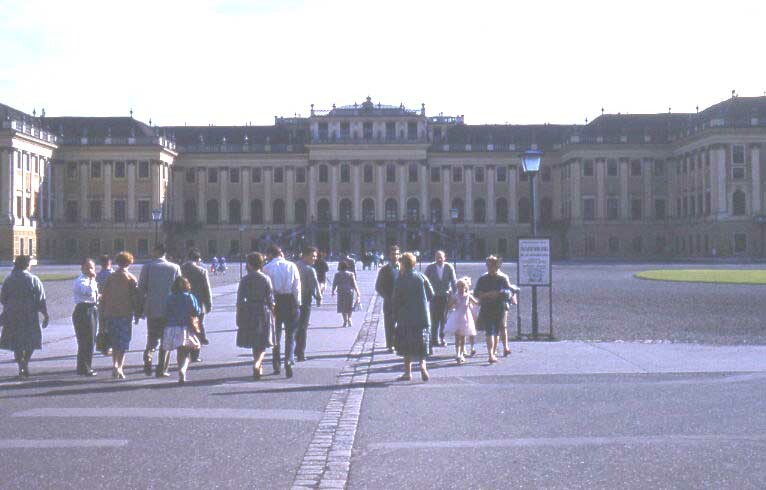 Picture taken in February 1965. Photo furnished by Ron Groom. 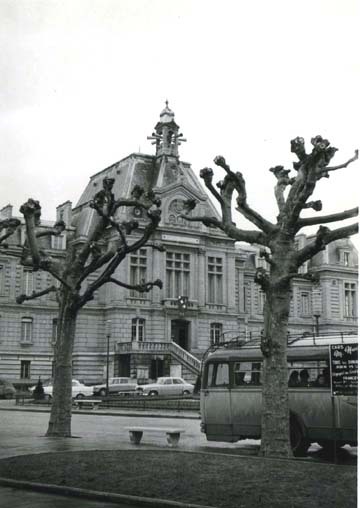 A view of the city hall in downtown Evreux. Note the alert sirens on roof. Photo furnished by Ron Groom. 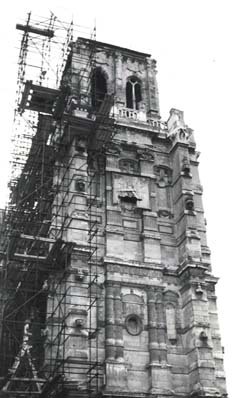 This photo is of a church in downtown Evreux, damaged by bombing raids during the war. They were working on it in 1965 when this picture was taken. Photo taken by Andre Leconte. A picture postcard sent by "Aunt Mary" in 1960 who apparently was visiting MSgt M. G. Simons, 317th Camron. 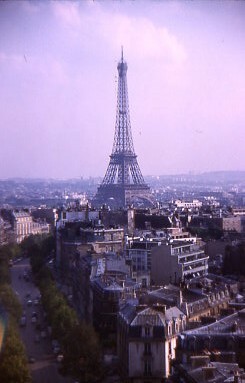 She wrote: "Bernice and family met us in Paris and brought us to their home in their Volkswagen. 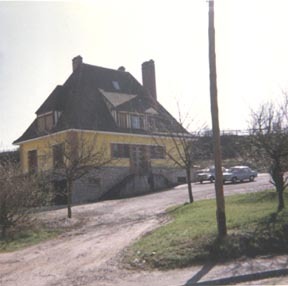 They have a nice four bedroom home with two baths about one mile from Evreux and six miles from the Air Base. 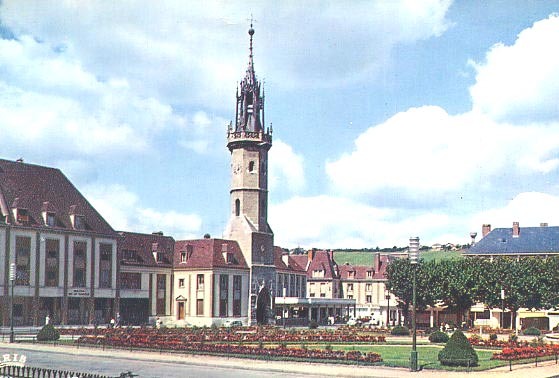 Very few people in Evreux speak English. Spent one day in Paris and had 1 1/2 hour trip on the Seine River. Many historical places around here." Postcard was sold on eBay. The Belfry, called Clock Tower, was built between 1490 and 1497.